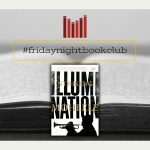 The Cheeky Natives have released their podcast with Nthikeng Mohlele, to celebrate the publication of his new book Illumination. 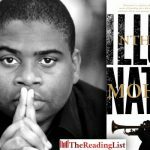 Eusebius McKaiser reviewed Nthikeng Mohlele’s new novel, Illumination, which will be out from Pan Macmillan in February. The cover for Nthikeng Mohlele’s new novel, Illumination, has been revealed! Pan Macmillan has revealed the cover for Nthikeng Mohlele’s new novel, Illumination!